True Expression Photography Blog: Katie & James: Engaged! I love it when couples choose a location for their engagement session that has a special significance to their relationship such as where they met, where they had their first date or where they got engaged. For Katie and James, there couldn't be a more fitting place for their engagement photos than at their high school, where they first met 6 years ago. 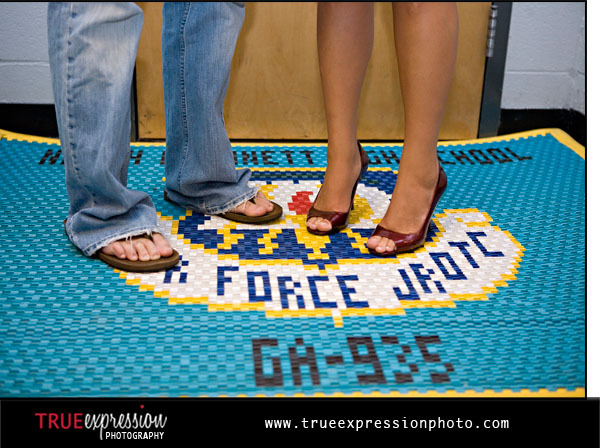 Since Katie and James both did ROTC together in high school, we started their session on the ROTC mat. We headed around the school as Katie and James reminisced over all the significant spots they remember spending time together. I could just tell they are head-over-heels in love with each other. These two were so comfortable in front of the camera. Aren't they cute together? I love the shots of them in the football stands. The bright red seats match their wedding colors! 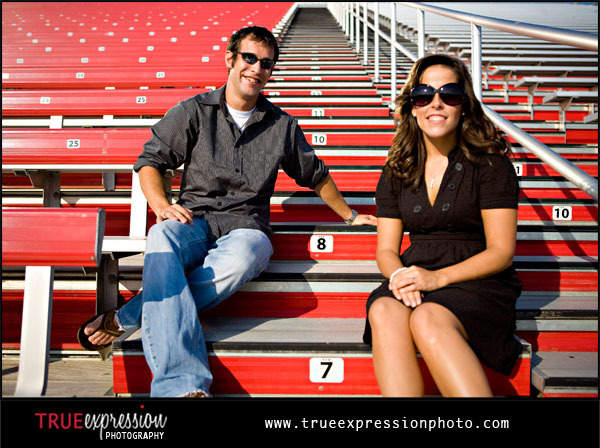 In honor of their wedding date, August 7th, they sat on rows 8 and 7! We ended the session at Katie's softball field. Very cute! they look so in love and you captured it great! What a funnnnn couple! What a great idea to shoot at their high school! Fab work! What a fun idea for their shoot!! I love it Kelly!! Awesome session! How awesome is that! Gorgeous couple! All of those shots in the bleachers are so fun! Nice work! What a unique session! I love it! 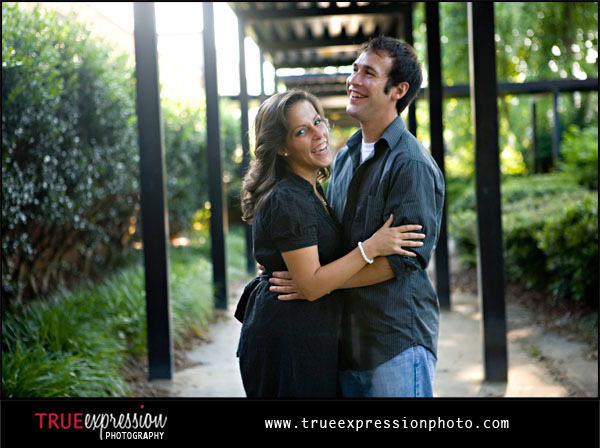 Adorable couple and what a fun session!